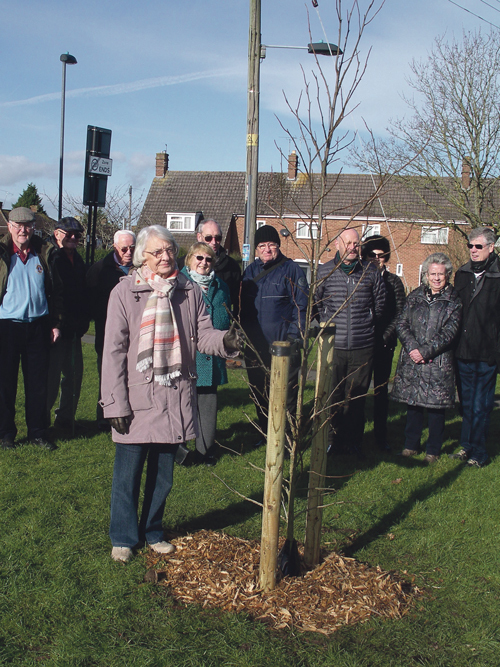 A FORMER president of Thornbury Lions Club has been remembered through the planting of a tree in the town. Bob Chaskin, who died recently, was a founder member of the club and he held the post of president on three occasions in 1993, 2007 and 2008. He also played a major role in establishing what is now the club’s second hand book shop. In the project’s early days, Mr Chaskin arranged for a trailer to be positioned in the St Mary Centre for the club to use on Saturday mornings. He went on to negotiate with the centre management the use of an empty shop, leading to the development of the bookshop which has now become the club’s main fund raising activity. Through its sales, the club has been able to make donations to a large number of charities and organisations. The club said Mr Chaskin was a “very popular and prominent member” of the organisation. It said: “We miss Bob’s presence but his legacy constantly reminds us of him and Bob’s wife, June, still helps with various activities within the club. “The Lions would like to thank Judith Hurford, the Thornbury tree warden, for her help in organising the planting.